Lenstra, J.K, & Rinnooy Kan, A.H.G. (1981). 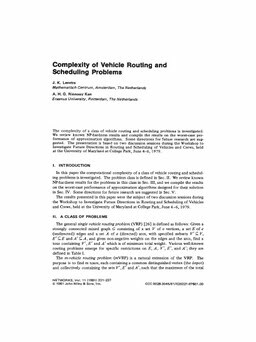 Complexity of vehicle routing and scheduling problems. Networks, 11, 221–227.